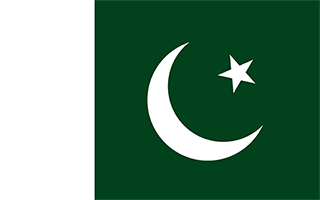 N 27° 51' 22" and E 69° 6' 39"
Pāno Āqil in Sindh with it's 72,881 citizens is a city in Pakistan about 468 mi (or 752 km) south-west of Islamabad, the country's capital city. Local time in Pāno Āqil is now 12:07 AM (Friday). The local timezone is named Asia / Karachi with an UTC offset of 5 hours. We know of 8 airports in the vicinity of Pāno Āqil. The closest airport in Pakistan is Sukkur Airport in a distance of 22 mi (or 35 km), South-West. Besides the airports, there are other travel options available (check left side). There is one Unesco world heritage site nearby. It's Archaeological Ruins at Moenjodaro in a distance of 70 mi (or 112 km), South-West. When in this area, you might want to pay a visit to some of the following locations: Ghotki, Sukkur, Kandhkot, Khairpur and Shikarpur. To further explore this place, just scroll down and browse the available info. Let's start with some photos from the area. AQA KA MILAD AYA !!!!!!!!!!!!!!!!!!!!! 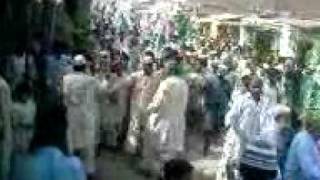 !RAILY OF AHLEY SUNNAT 2010.
ga Student Struggle.. Mian Abdul Hafeez Indher. Pano Aqil, is a tehsil of Sukkur District in the Sindh province of Pakistan. It is located approximately 40 kilometres north of the capital Sukkur. Pano Aqil Cantonment, Pakistan's largest cantonment, is located here. The Mohallas in this city include Soomra Mohalla Fouji Mohalla, Abbasi Mohalla, Sofi Mohalla, Mehran Colony, Indher Colony,soomra colony Basheerabad, Shaikh Muhalla, Mandar Gali, Masan Muhalla, Gharibabad, Bashirabad, Mohalla Shaheed Zulifqar Ali Bhutto and Irrigation Colony. Located at 27.8667, 69.1167 (Lat. / Lng. ), about 1 miles away. Haleji Sharif is a village in Pano Aqil taluka, Sukkur district in Sindh, Pakistan. It is about 50 kilometres from Sukkur City and 10 kilometres from Pano Aqil, near Pano Aqil Cantonment, on National Highway N5. Located at 27.7833, 69.1333 (Lat. / Lng. ), about 5 miles away. These are some bigger and more relevant cities in the wider vivinity of Pāno Āqil.